Here's what you need to consider. When was the last time you chatted with someone about money? Chances are it's been a while, because the topic is more often than not considered pretty taboo to talk about socially. 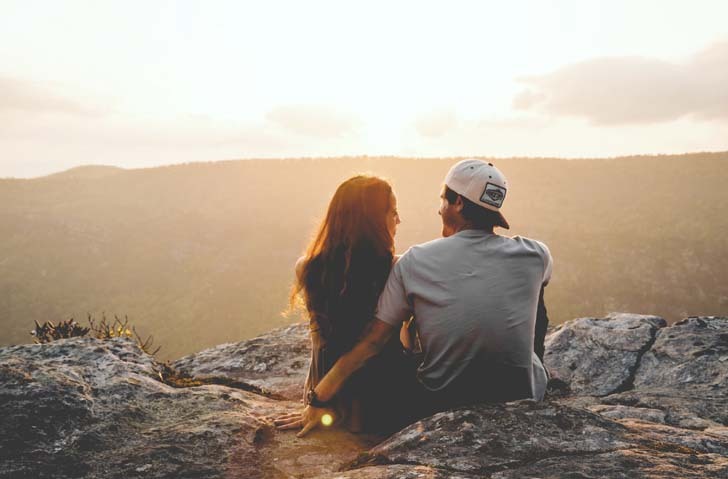 But given the fact that monetary issues are one of the leading causes of divorce, taking the time to figure out how to best handle finances with your significant other is extremely vital for sustaining a happy, healthy relationship. Merging money, keeping cash and cards separate: of course, everyone thinks and feels differently about this subject, so there is no one-size-fits-all solution. The important thing is getting the conversation started, no matter how awkward it may seem. So if you're ready to tackle the talk of money with your SO, do yourself — and your wallet — a favor and keep reading below. [post_ads]As someone who has made the decision to combine finances with my husband, I can personally vouch for how much stronger it has made our relationship, especially when it comes to communication. By merging accounts and cards, we are forced to be 100 percent open, honest, and vulnerable with one another, as our spending habits are in many ways an open book — completely visible for each other to see, track, analyze, etc. Although the thought of this scenario might sound a bit overwhelming to some, we prefer this method since it keeps us, as individuals, more accountable to how we're spending and saving our hard-earned income. As a couple, we share a lot of the same goals when it comes to where we want our money to go — i.e. traveling as much as possible — so while we both respect each other's monetary wants and needs, we've found that building and maintaining a "family" budget together helps keep us on track of achieving those goals. And because we're both involved in managing our money, it's considered much more of a team effort, instead of one person feeling all the pressure that financial planning can bring forth. Furthermore, for us, mashing our incomes together has made life, well, simpler. We don't worry about splitting bills and expenses or whose turn it is to pick up the check whenever we grab coffee or dinner. Because all the money is going into and coming out of the same pot, life has become way less complicated. Of course, it is only fair that I point out that when my husband and I got married and merged our finances, we came together without having much of anything. We married not too long after graduating college, so neither one of us had years' worth of savings in our accounts, and we were both extremely fortunate to unite as a debt-free couple. That said, I completely understand the hesitations someone might have when there is a lot of money involved — both in savings and debt — as making the decision to combine comes with the possibility of greater tension, frustration, and even resentment toward your loved one. It can also potentially feel like a loss of independence to some. So, to Merge or Not to Merge? Ultimately, you must decide what's right for YOU. Integrating finances is certainly not the be-all and end-all when it comes to relationship success, which is why it's important to keep in mind what works for some — including your friends and family — might very well not be the best solution for you and your partner. That said, take some time (and lots of deep breaths!) to decide what you feel most comfortable with. Then, get to know where your SO stands and make a decision, together!